John Simmonds is the founder and President of StrateBen, Inc., a premier employee benefits technology and consulting firm focused on leveraging both technology and leading edge information management tools to address the rapid and alarming increase in healthcare costs. Simmonds comes to STRATeBEN with over 20 years of employee benefits, health plan and managed care experience. Prior to joining StrateBen, Simmonds worked with a leading Mid-Atlantic health plan administrator for 5 years. Expanding responsibilities included managing business development as well as being the lead consultant on major clients. His greatest achievement was designing and taking the project lead on the development of a unique healthcare cost management program. Prior to that, he worked with progressive national managed care companies such as HealthCare COMPARE (now known as First Health Group Corp.). His responsibilities included the development of strategic relationships with clients in order to deliver unique and valuable ways to manage the trend of their healthcare costs. Some of Simmonds’ past corporate clients are recognized leaders in their industries like Thyssen Krupp Elevator, Magellan Health Services, Texas Instruments, and EDS. John is a graduate of Vanderbilt University and has participated in Northwestern University’s Kellogg School of Business' Managed Care Leadership Forum as well as the Wharton School of Pennsylvania Direct Program. 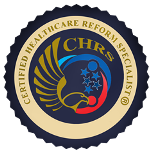 John is also a Certified Healthcare Reform Specialist. Karen Colonell is the Vice President of Account Management and Operations of StrateBen, Inc, a premier employee benefits consulting firm focused on leveraging both technology and leading edge information management tools to address the rapid and alarming increase in healthcare costs. Colonell comes to StrateBen with over 18 years of employee benefits, health plan and managed care experience. An intense and sophisticated project manager and client support strategist, Colonell has held senior management positions with key employee benefits providers including a leading national insurance carrier, a regional third party administrator, and a national HR outsourcing service provider. Colonell was responsible for business units that focused on the service and management of over 7,000 group health accounts. Additional responsibilities included the development of strategic relationships with broker partners and vendors as well as product training and continuing education. Karen has worked with an impressive list of local and national vendors in order to deliver maximum value to her clients. Her background uniquely positions her to assess performance, make service provider selections and track ongoing service provider performance. Karen is a graduate of Towson University and is certified as a Professional in Human Resources. Karen is also a Certified Healthcare Reform Specialist. Jennie Deuber is the Manager for all data and information management activities at STRATeBEN, Inc. As a premier employee benefits consulting firm focused on leveraging both technology and leading edge information management tools to address the rapid and alarming increase in healthcare costs, Jennie Deuber comes to STRATeBEN with over 15 years of experience in budgeting and analysis of employee benefits and health plans. A detail oriented and analytical information manager, Jennie has held senior director positions in finance offices in large governmental departments including Budget Director for the Community College of Baltimore County, with more than a $173 million operating budget and with the County Government. Jennie Deuber was responsible for development and analysis of annual operating and financing budgets, including the self funded health insurance budget for more than 1,300 full time employees. Additional responsibilities included the annual development of the budget document which received the Government Finance Officers Association’s annual award for budget development. Jennie has worked with analytical staff in several agencies, and her background is a unique asset for her to provide the best provider selections and track ongoing service provider performance for each client. Jennie is a graduate of Towson University. Darlene Shurley is a Director of Account Management with Strateben, a premier employee benefits consulting firm and technology firm focused on leveraging both technology and leading edge information management tools to address rapid and alarming increase in healthcare costs. Prior to joining StrateBen, Shurley worked for third party administrators in sales and account management. Responsibilities included providing strategic and creative solutions to everyday problems for employer sponsored health plans, managing the sales and account management staff, client retention, and renewals. With over 20 years’ experience working with third party administrators in both operations and account management, Shurley possesses the organizational agility to facilitate the needs of clients and member. Responsible for strategic partner relationships between broker and vendors Shurley provided key relationships to promote success. Fast paced and energetic was the formula to successfully managing over 60,000 employee lives. Her background in both operations and sales provide the perspective to access the needs and services for clients in the health care market and maintain superior service levels.